His Holiness the Ganden Tripa also known as Ganden Tri or Trichen Rinpoche is the spiritual successor of Je Tsongkhapa and occupies the golden throne of the great Monastery of Ganden. The incarnations of Ganden Tripas are one of the highest ranked reincarnations in Tibet. The Ganden Tripa and their incarnations were often chosen as tutors to the Dalai Lamas and Panchen Lamas. During the absence of the Dalai Lama, the Ganden Tripa or their incarnations were appointed as Regents of Tibet. “Tulku” is a Tibetan word meaning “transformation body,” or “Nirmanakaya.” In Tibetan Buddhism, a tulku is the emanation (reincarnation) of an enlightened master. In Chinese, Tulkus are called “Huofo” (活佛) which translates as Living Buddha. 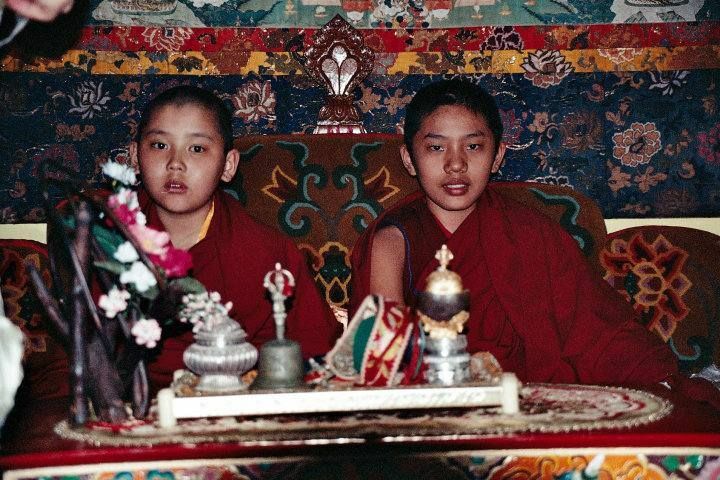 The Ganden Tripa incarnations are often referred to as Tritul Rinpoche. The title “Tritul” means Tri- Throne holder, Tul- Tulku (reincarnation).